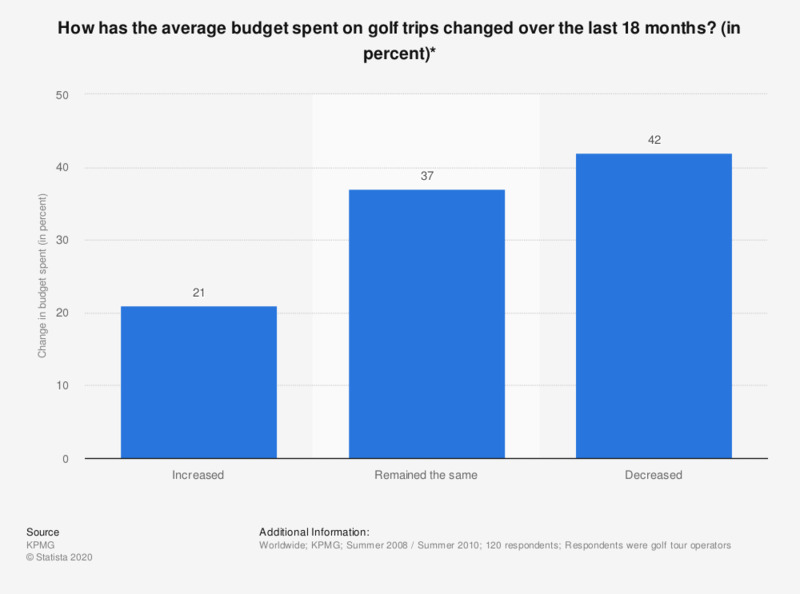 The graph depicts the change over the last 18 months in the average budget spent on golf trips. 42% of the respondents said that the average budget had decreased. *Golf tour operators from 41 countries participated. About half of the responses were received from European golf tour operators. 22% of the responses came from the Americas, 18% from Asia and the remainder from operators based in Africa, Australia and New Zealand. Here a golf trip is defined as a leisure trip taken within a country or cross-border including at least one overnight stay.